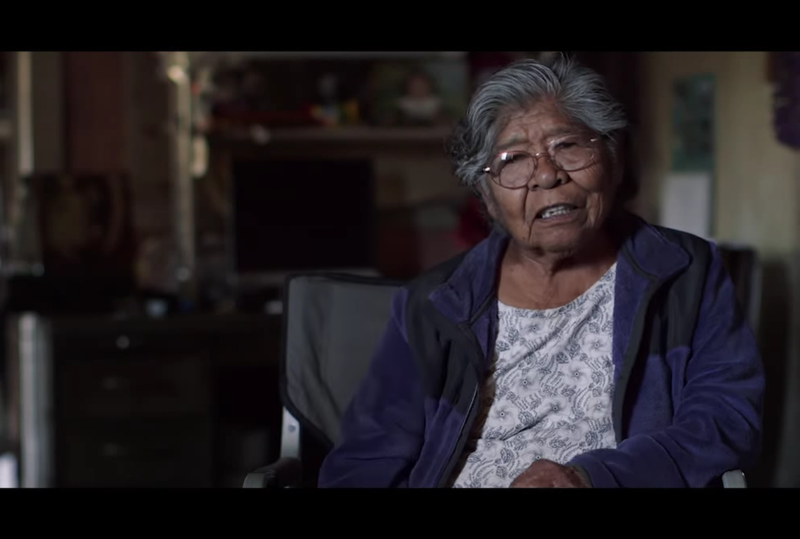 Marie Wilcox, an octogenarian Native American woman from the San Joaquin Valley in California, was born on Thanksgiving in 1933; she grew up in a one-room house with the grandmother who delivered her and spoke her native Wukchumni, and I believe this video will assure you—Marie is better than you or I will ever be. In this 10-minute mini-doc from the Global Oneness Project, via NYTLive, Marie talks about speaking primarily English to her children, who worked alongside her in the fields for a good part of the year. She started learning Wukchumni when her sister started speaking it again in an attempt to pass the endangered language on to each their kids. Before European contact, as many as 50,000 Yokuts lived in the region, but those numbers have steadily diminished. Today, it is estimated that fewer than 200 Wukchumni remain. Watch the whole thing and feel unworthy of being alive—specifically, of being so demanding, with all this “I want to be comfortable and I want to be noticed,” rather than devoting yourself to something so beautiful and singular and hopeless, like Marie. UPDATED TO ADD: Here is the community center where Marie teaches Wukchumni! Contact them if you’d like to make donations, by all means.